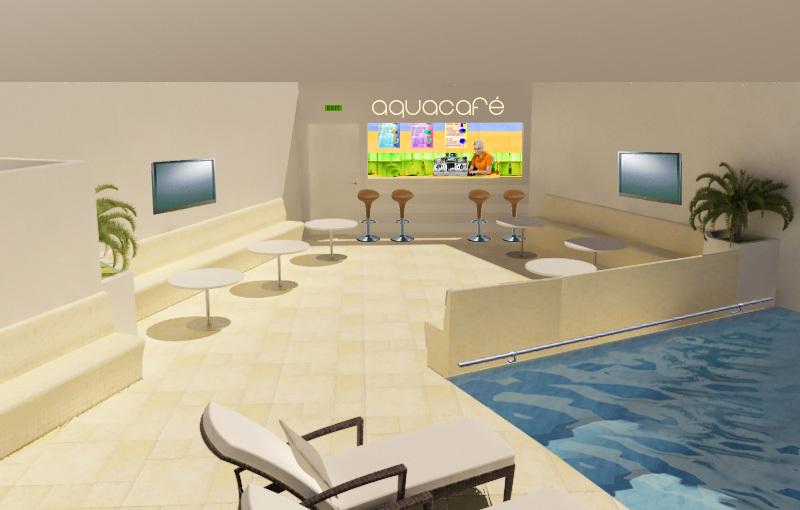 Aquapriva is a new and unique swimming and wellness center concept that can be build at suitable metropolitan areas around the world. Imagine living in one of the metropolitan areas of the world like New York, Moscow, Mumbai or Tokyo and wanting to go for some swimming, sauna, relaxing and having fun, with your family, friends or colleagues – and with them only! 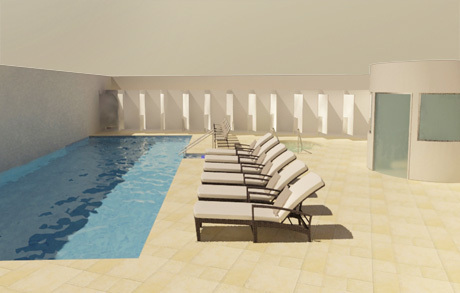 That is what Aquapriva is all about – an affordable private luxury, whenever you want. 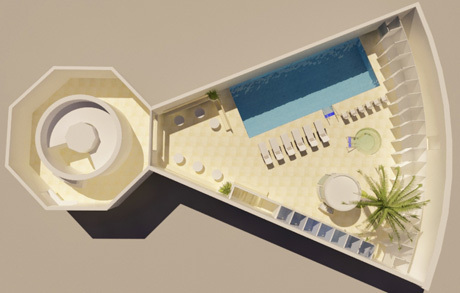 Aquapriva consists of (eight) separately rentable private wellness areas with a swimming pool, a hot tub whirlpool, a sauna and an integrated café inside a surrounding building with a public restaurant, a shop, a beauty and wellness center and optionally other enterprises. According to our research, nothing even close to Aquapriva exists. If you don't own a private pool or sauna, you can't do your wellness program in peace and private company only. The targeted total costs for the first Aquapriva is 15 million €. The targeted EBIT is 3,4 million €. Aquapriva consists of 8 separate wellness-areas, which can be booked online in advance for 2 hours or more. In the center is an integrated café and catering area with 8 counters. At full capacity, about 640 bathers are expected in 8 shifts each day, or 230,400 bathers a year. Surrounding the inner private areas is a public circular path with a restaurant, a shop and a beauty and wellness center (and optionally other enterprises, depending on the outer building size and type). The public restaurant offers the same range of healthy drinks and snacks as the central integrated café, plus breakfast, a selection of menus and alcoholic beverages. Current newspapers are available for free reading and there is a free WiFi access. The shop sells practical items such as bathing accessoires and cosmetics, fashion, as well as different beautiful, luxury, or artistic items. The public beauty and wellness center offers a well sorted variety of individual massage and beauty treatments. The site for the first Aquapriva is of central importance. Since there are no comparable figures, to be on the safe side, a metropolitan area with more than 4 million inhabitants in the immediate vicinity of 20 - 30 km should be chosen. In places like New York, Tokyo, Mumbai, Beijing, Los Angeles, Moscow or London, Aquapriva would be definetely running risk free at full capacity all year round. There are many advanced and environmentally friendly technologies out there nowadays and we are striving for the best solution within our budget. Which technology will be used will be decided at a much later stage, but an environmentally sound concept is favored by us, and will also be good in advertisement. 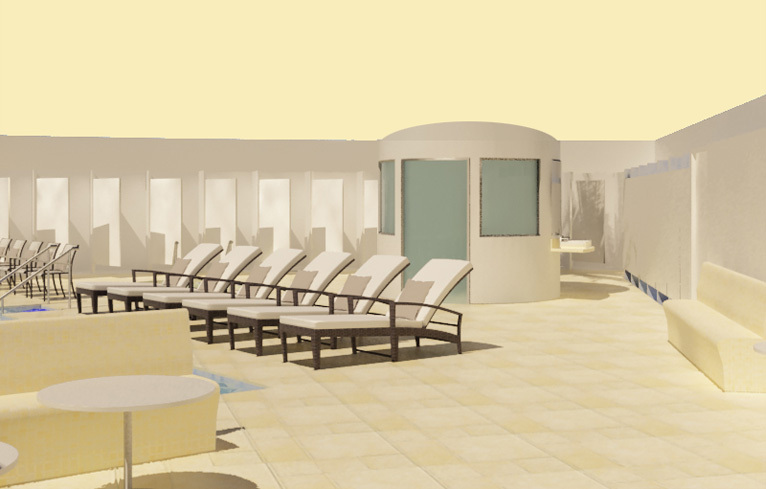 The maximum number of allowed persons may be limited to a certain number according to the size of the wellness areas. Editors from TV-journals, major magazines and newspapers, as well as major internet magazines and bloggers will receive a personal invitation with a voucher for 2 hours and 10 people, which can be redeemed at any time in exchange for a report. Online photo display of special und unusual events and decorations like a conference or a marriage in Aquapriva. What are the safety regulations in the country? In Germany for instance public swimming pools must be supervised by appropriately qualified personnel according to the DGfdB Directive 94.05. Here is yet to be determined, if for instance a video surveillance is equally permissible, or whether the obligation to monitor the pool area can be transferred fully or partially to the tenant. Are there any grants from the government for creating new jobs? Are there cities or projects which will indicate their interest in Aquapriva by providing an interesting construction site or special conditions? 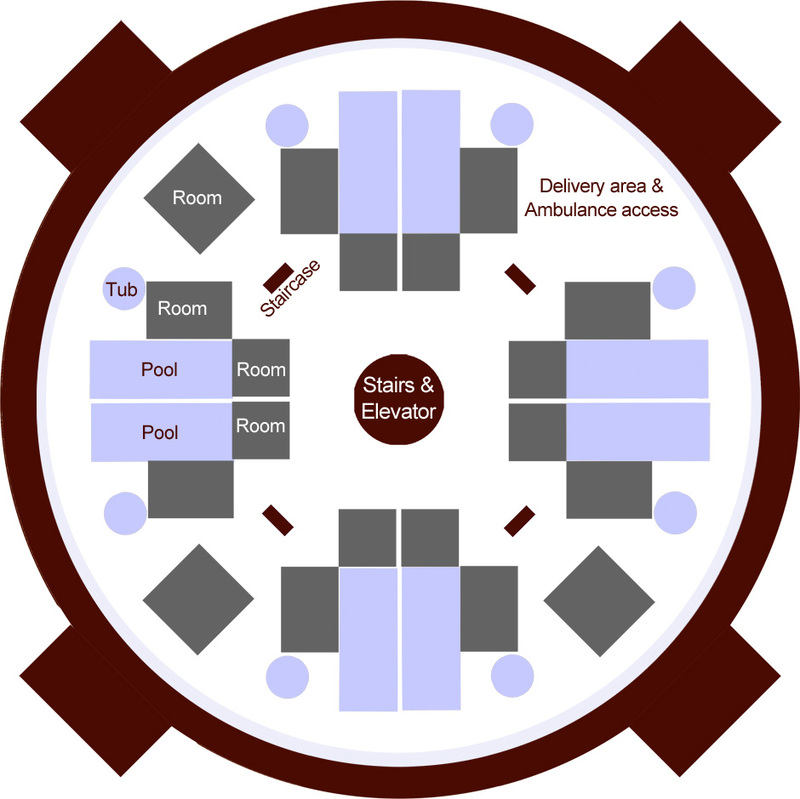 The circular arrangement around a central café and catering area is a fixed part of the core design, because this way the café and catering area can be run in all pools simultaneously with just a few waitresses or waiters. The number of 8 areas is ideal in terms of space and revenue, but could also be different, for instance to make some larger areas if there are any good reasons. For a cost effective building and for keeping the online booking simple, we suggest to equip every area with exactly the same components, which may vary only in details according to the budget. The interior design could be completely luxury, stylish and even different for each or only a few areas. For example one area could be designed in a maroccan style, one in a Hundertwasser or Gaudi like Style, one in a zen like asian style and so on. Level 1 is the heart of the system, all technical installations, internal paths for employees, covered access ramps for deliveries, storage rooms, etc. are located here. The inner building is technically a round reinforced concrete building, with the technology level, the visitor level and an optional management level. The management level could be up to 30 m in diameter and it could be rented out for private conferences. The inner building can also be placed on other levels, to encompass a car parking level for example. 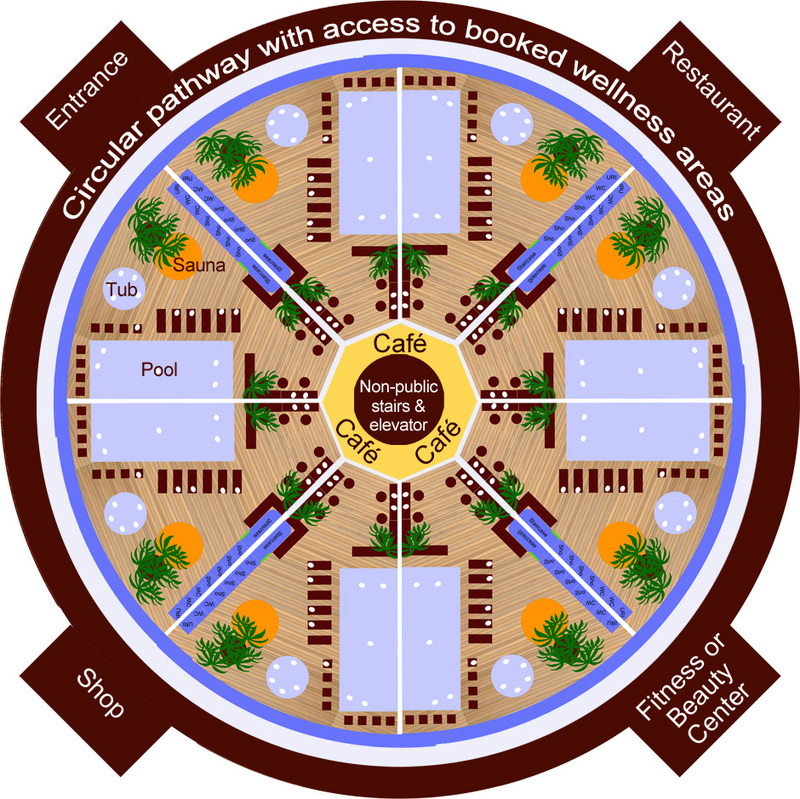 Surrounding the inner building is an independent circular wooden path with 4 adjacent corner buildings in wooden structure. The 4 corner buildings include a restaurant-café, a shop, the entrance and a beauty and wellness center. No details are worked out yet. Updates will be posted on this website. The actual private wellness areas are highly thermally insulated to cost-efficiently maintain a constant high level internal temperature. The outer building or shell can be variable, for instance a square or dome type, depending on the individual desires and the budget. Aquapriva can also be integrated in other construction concepts. A building of 70 m x 70 m is needed to encompass the inner building and a basic squared type construction is included in our 15 million budget. Since the inner building is already arranged like a mandala or yantra, we think it would be a good idea to also apply some Feng Shui and ancient indian Vastu principles for the overall forms, directions and color combinations. This doesn't cost any significant amount, but could help a lot in creating a positive atmosphere of wellness, plus it would be a good advertisement. The Aquapriva team has a lot of creative ideas for the interior design and we are planning to work out some detailed design concepts in the near future. Aquapriva is open from early morning to midnight and optionally even 24 hours. The entrance into the outer area with restaurant, shop and the public beauty and wellness center is free, but is permitted only after buying a prepaid electronic bracelet with a free choice of a bonus from 10 to 200 €. After buying the electronic bracelets, the guests enter the circular path. On the path are the entrances to the booked wellness areas, some art objects, the outdoor restaurant, the shop and the public beauty and wellness center. Everything is attractively designed, with a lot of wood and green plants, so that bathers like to stay here for some time before or after their bath and also non bathing guests will like to come here. The electronic bracelets can be recharged on all payment counters inside, the deposit amount may be viewed with the help of various installed scanners. In the shop cash payment is possible due to some higher-priced items, otherwise all payment is made electronically. Admission times and group name are shown on a screen next to each door. At the entrance and in the restaurant there are screens with a time schedule overview. 5 minutes before each new shift a time signal could be given to remind people. The new password to open the door automatically enters into force for the time booked and the guests can enter with the password. The number of actual visitors is automatically counted via Rfid by the electronic bracelet on entry. Guests enter through a shoe area into the (20) changing rooms. Inside will be a small locker for valuables. From here one enters barefoot into the freshly cleaned wellness area. If they have booked for 2 hours they have exactly 2 hours and 15 minutes before the next group enters. Now they can use everything freely, turn on some music, change the light, take a shower, sit in the hot tub, swim in the pool, or use the sauna. The integrated cafe is at their service whenever they want, with a well sorted variety of fine coffee and tea specialties, fresh fitness drinks and some wholefood snacks. After 2 hours the cleaning crew enters the room and begins their work. (Empty bins, wipe clean tables and toilets and check everything. Another 10 minutes later (exactly 5 minutes before the next scheduled group enters), there is a final announcement to leave the hall. The security and ⁄ or the cleaning crew will check that all are out in time. Now everyone is refreshed, the kids are probably hungry, so why not enter the public restaurant with it's delicious wholefood specialties for a cosy conclusion of the visit? Quite a few will shurely go there. Are your public pools also looking like this? 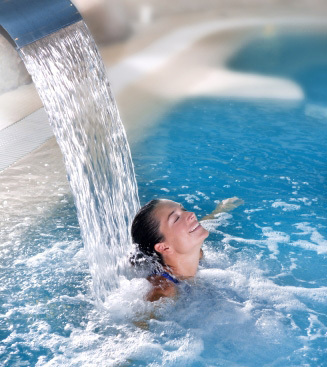 A visit to Aquapriva will be really pleasureable and relaxing for everyone. No hassle, no crowds, no noise, no anxiety about where your kids are, just pure wellness. There is a worldwide potential for Aquapriva. Please visit your local swimming pool for further convincing arguments. The booking website is to be very well designed, so that a reservation can be done with a few clicks in a short time and with minimal inputs. To ensure this, usability tests should be carried out with casual internet users of different ages. Payment is to be done in advance for the hall including 10 people, for booked extras, plus 50 € reserve for up to 10 possible further guest entry fees. A freely chosen password will be assigned for the hall. A cancellation is only possible by paying a cancellation fee. Infos about cancelled areas will be automatically send by email and sms to interested persons. The standard booking can be done for maximum 90 days in advance. 1 or 2 halls are reserved (except early morning and late night times) for short-term appointments (VIP reservation) by raising (doubling) the booking price. Free VIP halls will be reduced to the regular price one or a few days prior. Infos about the newly available normal priced halls will be automatically send by email and sms to interested persons. Instant reservation for free halls on the same day should be possible via phone by an immediate transfer a non refundable deposit. General booking should also be possible by phone, if a suitable direct payment method is available. People can rent a hall, specify interests or conditions, for example to meet other single women, vegetarians or yoga practitioners, etc. Interested people can then make direct contact with the main tenant and may be invited via password sharing. Aquapriva is a unique concept for the top metropolitan areas of the world. We are looking for someone who understands the potential of Aquapriva and turns it into his own profitable business. All we want is a fair share for the concept, not more, not less. We are open for proposals. Note that all following calculation is done in Euro, but can probably be converted 1:1 to currencies with a similar value, like the US-Dollar or GBP, when Aquapriva is build in a country using these currencies. Construction costs are estimated for an attractive and functional building, while considering construction costs and payback period first. If however the building itself should set already architectural standards, these numbers are of course irrelevant. The proposed entrance fee is 10 € per person for 2 hours. A non-refundable minimum number of 10 entry fees has to be paid in advance upon booking. On weekends and holidays the entrance fee could be raised to 12 €. The goal is to bring the sales up to 5 € (and beyond) per guest by offering high-quality fitness drinks, fine coffee and tee specialties and assorted wholefood snacks. 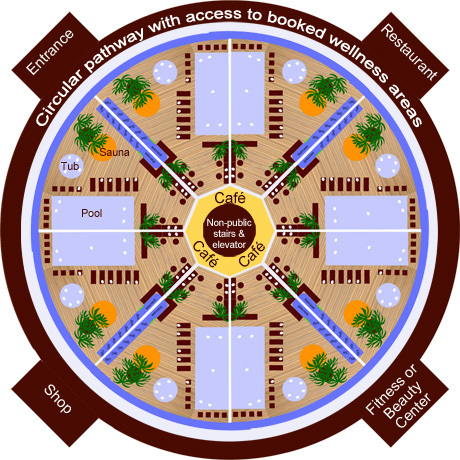 The goal is to attract at least the same number of guests to the restaurant as to the booked wellness areas. This could be a mixture of bathing guests who extend their stay and non-bathing guests who just come here because of the atmosphere and the good healthy food. 230,400 guests that spend 10 € each for food and drinks will amount to 2,30 million revenue. The shop could become a substantial source of income also, if the line of goods is carefully selected. We didn`t add the shop to our calculation yet. We are still researching this at the moment, but we can already say, that it has a great potential when properly done. We didn`t add this operation to our calculation yet. 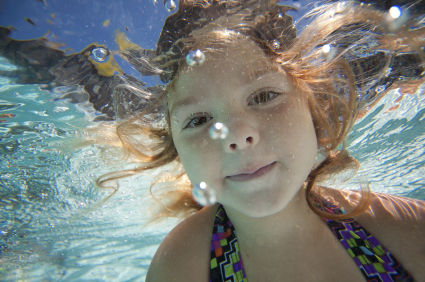 Estimate is based on average values of existing pools of 1,300 kw / h per m² of water per year. Since the entire building and especially the swimming area is planned to be built with high thermal insulation, the consumption values could be significantly lower. 5:30 to 0:30 = 19 hours = 3 shifts of 6,5 hours. Total: 56 jobs at 2500 € average = 140,000 x 12 = € 1,680,000 € ⁄ year. Note: There may be different reasons to split these jobs into smaller units (part time jobs). *In very big and busy cities, opening hours may even be extended to 24h a day, which will result in further income. Note: All estimations on energy consumption, operating and construction costs are based on diverse publicly available figures and may differ significantly according to the country. A detailed review of these numbers by qualified architects, auditors and by tendering is therefore still outstanding. We'd love to hear your feedback, constructive criticism and enquiries. Please contact us first via email and use an email address of your company. We try to answer all incoming emails within one business day. Aquapriva is a startup, founded to do research on the Aquapriva concept and to find investors. The Aquapriva concept was developed by Thomas Koertge and is a protected proprietary design. This may change however in the near future. Are you are an experienced architect, engineer, water technician, etc.? If you are an expert in one of the fields needed for planning, constructing and running a project like Aquapriva and you got something relevant to say, offer or sell, please don't hesitate to contact us anyway. This website uses Piwik, a website analysis software. Piwik uses "cookies", tiny text files which are temporarily stored on your computer and which allow your use of the website to be analysed by us. The information produced by the cookie about your use of this web site including your IP address is transmitted to our server where it is stored. No data will ever be made available to third-party companies which might reuse this data for other purposes. You may prevent the installation of cookies by using an appropriate setting on your browser software. Publicly accessible document, as of April 10th, 2011 – All rights reserved.